Sheena J Norquay was born in the Orkney Islands and has been exhibiting locally, nationally and internationally since 1981. Sheena uses quilted lines to create graceful movement, sculptural shapes and decorative patterns. 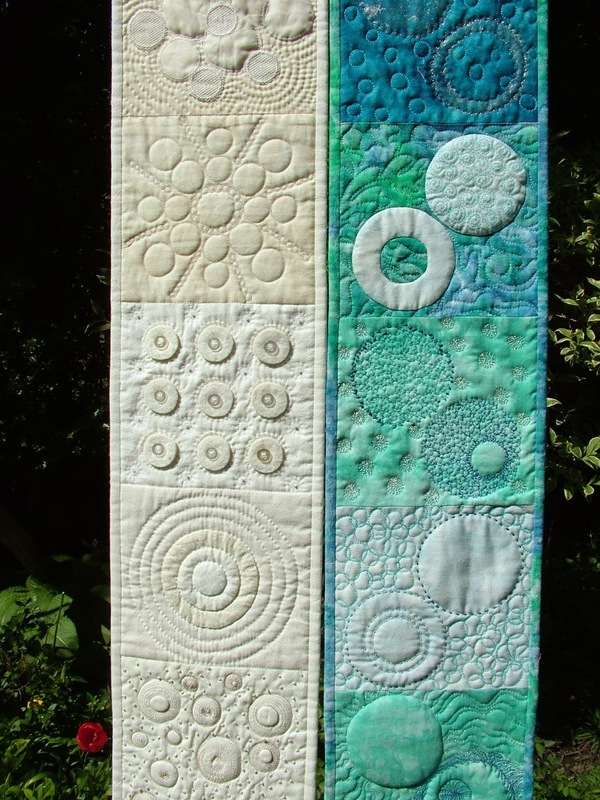 Some of her work combines printing and stenciling or piecing and applique with free machine quilting. 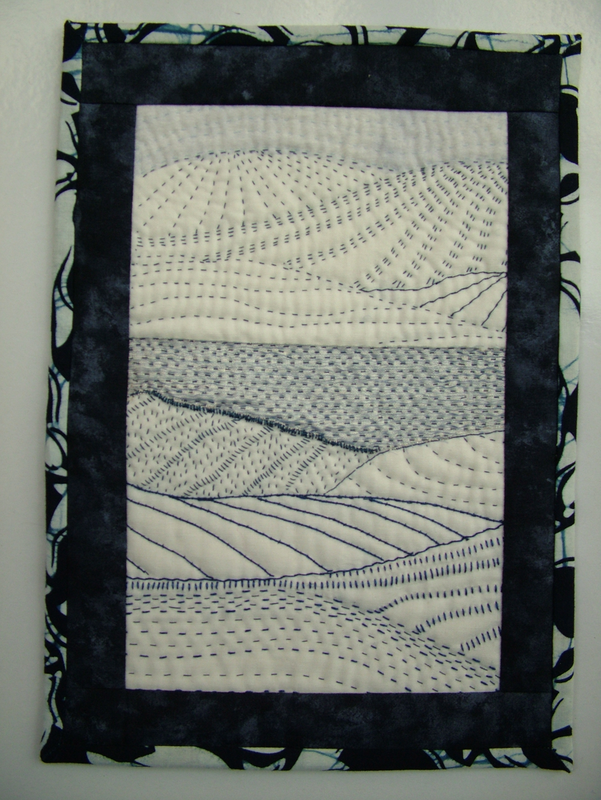 Create a small A5 or A4 winter landscape using running, whipped and single/double whipped/laced running stitches. You will be shown how to draw contour and radiating lines on the pattern provided and how to use the stitches to create ridges and outlines on your landscape. The border can be quilted using a basketweave pattern or you can add a patterned fabric. For the sky and loch you can use transparent fabric. After drying the paint the printed shapes are outlined with free machine quilting onto a piece of wadding which is then trimmed before the top is tacked to another piece of wadding and backing. 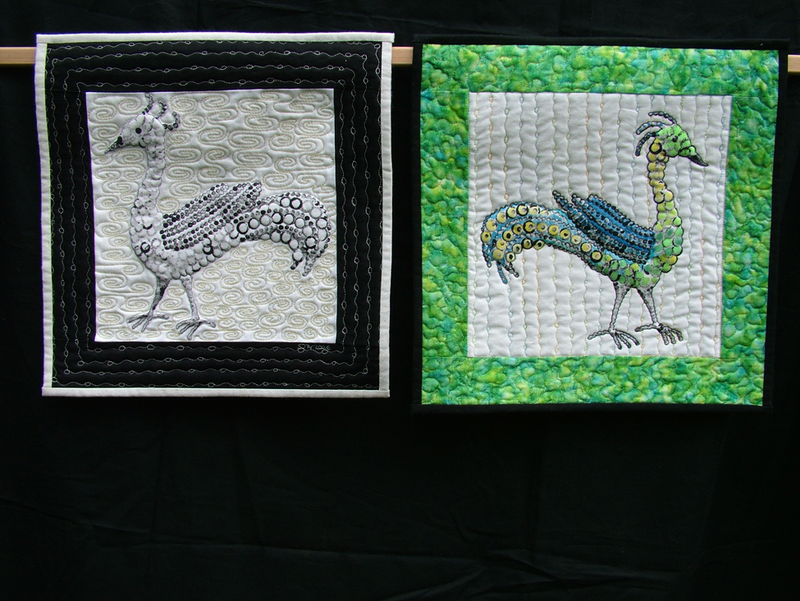 The bird shape can be then outlined and the background and borders quilted. Beads and sequins can be added for a ‘bling’ bird but this would be done at home. 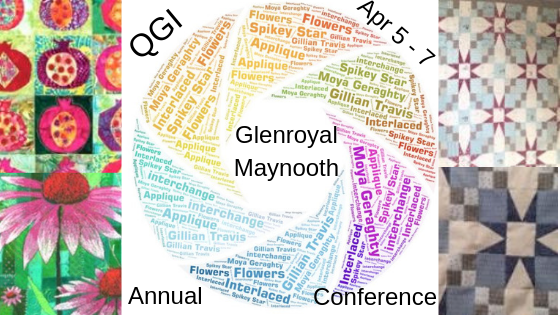 Going Around in Circles Two Day Workshop. All Levels.